Millennials make up close to 40% of the housing market, and 90% are renters. This means property managers have a huge opportunity to cater to this demographic. We partnered with Appfolio to create this infographic to show property managers how Millennials like to live. When you’re in the business of visualizing data, you don’t see an official Forbes list headline and just let it go by. We flagged the Top 50 Most Valuable Sports Franchises list as a great opportunity to create something unique in the sports space: an interactive detailing the most valuable sports franchises, including each team’s championships and years competing. The best kind of visual communication helps you show your audience what you do—not just tell. 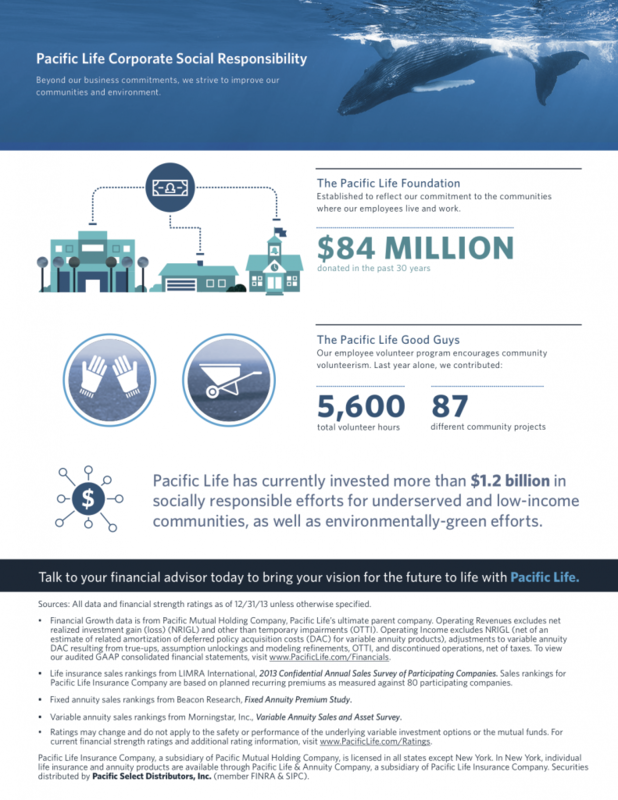 We partnered with Pacific Life to create a one sheet to give customers a by-the-numbers look at the company’s services, growth, and initiatives. Wonder why hospital bills are so pricey? There are plenty of factors that go into that final dollar amount. 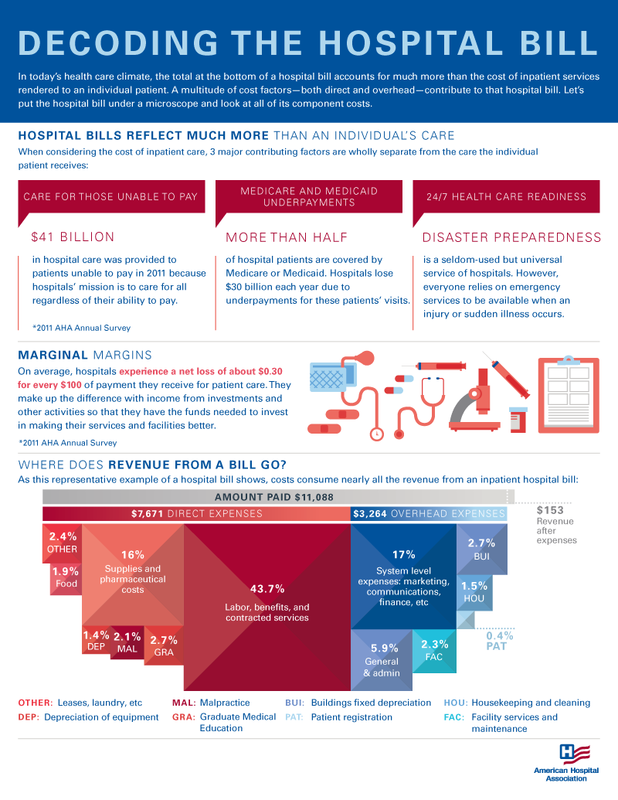 This infographic, created with the American Hospital Association, offers insight into how it all breaks down.